Register with Holistic Ayurveda to ask your health queries and concerns. Get free health suggestions and advices by experts and other forum members. You can also help others by sharing your own experience regarding any health issue. 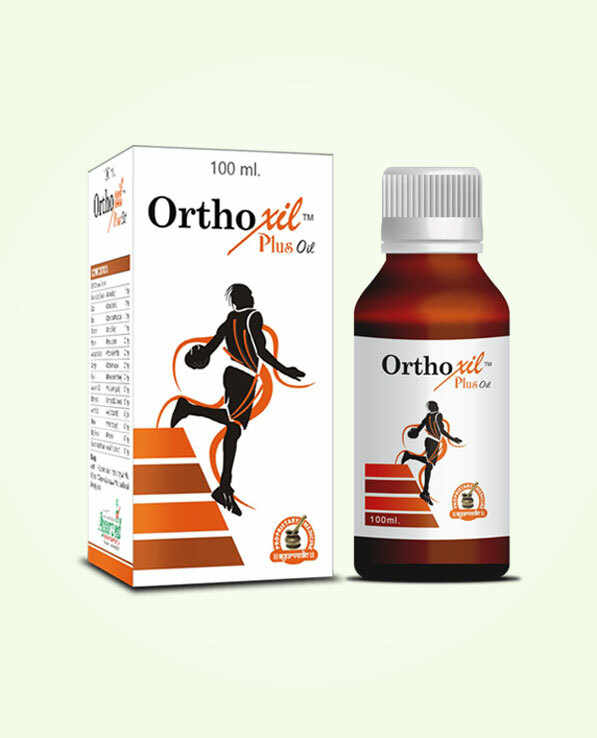 Orthoxil Plus oil is a specially prepared ayurvedic herbal massage oil for arthritis pain and swelling. 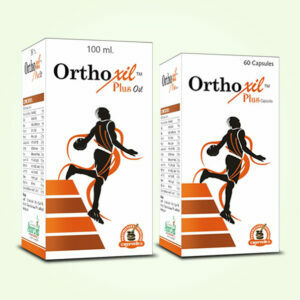 Buy Orthoxil Plus capsules online in India and treat symptoms of arthritis effectively and maintain movement. Arthritis affects joints by causing weakness in bones, ligaments, muscles and by damaging cartilages. Different forms of arthritis deplete joint health and cause immobility in different ways, herbal massage oil for arthritis provide relief from discomfort and also stops progression of arthritis by nourishing organs and bones of the joints. It also prevents infections and deposition of crystals of harmful acids in the joints which damage cartilages and promote stiffness. Herbal massage oil for pain and swelling gradually improves joint strength and endurance and allow a person to stay active and mobile by curbing ill-effects of all types of arthritis. Orthoxil Plus oil is powerful and fast-acting pain relief oil which treats symptoms of arthritis effectively and maintains movement. Orthoxil Plus oil is made after using herbs and herbal oils in right combination. These herbal ingredients relieve pain by causing numbness in pain-carrying nerves of the joint and diffuse swelling. This oil relaxes blood vessels and dilates them to enhance flow of blood which brings nutrition and oxygen for cells and allows them to regenerate at faster pace. It also prevents infections and also keeps synovial fluid free of infections and harmful agents. Herbal massage oil for arthritis promotes cell generation by enhancing flow of blood, higher rate of cell generation strengthens tissues and enhance strength and endurance of muscles and bones. Healthy bones and muscles maintain joint strength and endurance and also allow smooth movement. The herbal ingredients of this oil keep synovial fluid healthy and free of infections; healthy and clear synovial fluid keeps cartilages moist, flexible and free of breakages to allow smooth movement of joints. Regular use of this oil keeps ligaments healthy and enduring to maintain joint stability and maintain its proper alignment to prevent stiffness and swelling. 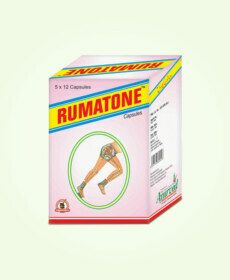 This herbal massage oil for pain and swelling allows movement in joints which get affected by any form of arthritis. 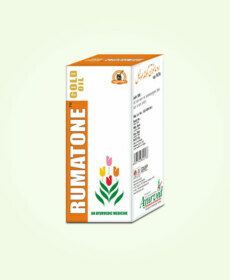 This prevents morning sickness and lethargy in joints due to arthritic condition. 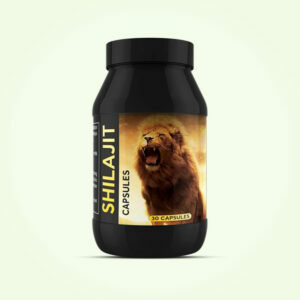 It is effective in relieving pain and inflammation due to injuries, trauma and strenuous activities or sudden pressure. Orthoxil Plus oil possess herbs like Ashthisanghar, Rasna, Nirgundi and various herbal oils like Kapur, Jaiphal, Dalchini etc. These are potent remedies to alleviate pain, inflammation and stiffness in joints due to weakness, injuries and arthritis and also enhance strength and endurance of joints to keep them healthy and strong. 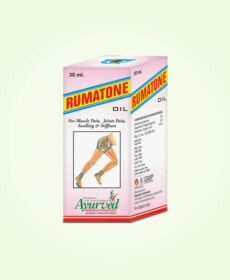 This ayurvedic herbal massage oil for arthritis is purely herbal in nature and is mild on skin. It is safe and does not cast any side effects even after prolonged use. Akarkara, Arand, Ashwagandha, Asthisanhar, Guggul, Rasna, Nirgundi, Haldi, Nagkesar, Piplamool, Buleylu oil, Long oil, Gandhpatri oil, Jaiphal oil, Gandhpurna oil, Peppermint oil, Tarpin oil, Kapur oil and Arand oil. Apply 10 to 15 drops of this ayurvedic massage oil for arthritis evenly on the affected area and then give a light hand massage till the oil gets properly absorbed in the skin. Repeat this process twice a day in the morning and evening for 3 to 4 months consistently to achieve long lasting results. My pain in joints got worse before I started using this oil. Helped me a lot to lessen my pain. Thank you for this product. Holistic Ayurveda is an online health question and answer forum. Join to get free Ayurveda consultation related to Ayurvedic remedies and natural healing. Address :88 B-Block, Shyam Nagar, Bhuwana, Udaipur RJ, India. How to Stop Frequent Masturbation Naturally in Males?